CNN commentator Angela Rye has come under fire for implying an advert for a line of Adidas football boots is racist, with social media users insisting her outrage ‘undermines credibility’. 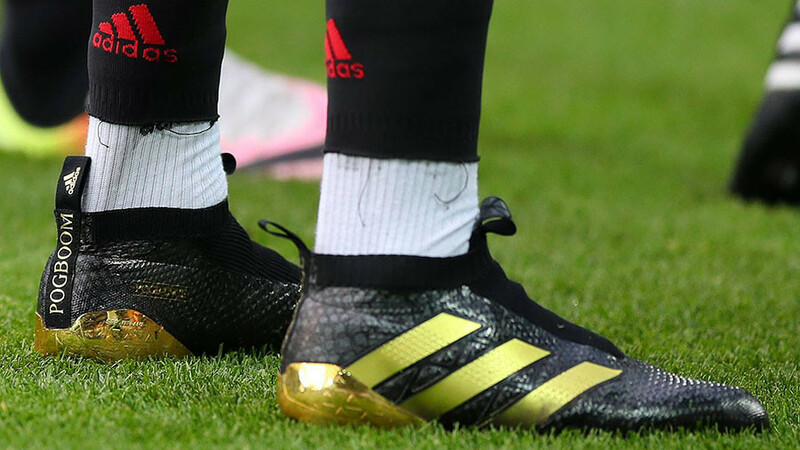 The offending advert is for Adidas’ famous line of ‘Predator’ football boots and features the face of French footballer Paul Pogba with the name of the shoe on the Manchester United midfielder’s chest. Rye, an attorney by training who also works as a political commentator for US broadcaster CNN and as a political analyst for NPR (National Public Radio), took to social media on Tuesday to vent her anger at what she thought promoted a negative perception of black people. And now @adidas...this is devastating. —>a lot of you are defending this ad by saying the soccer player pictured wears this line of cleats. Where’s the shoe? Do you understand that PREDATOR has a negative connotation particularly when we are talking about the perception of Black people in the world? This is irresponsible and NOT well thought out. “And now Adidas [sic]...this is devastating...a lot of you are defending this ad by saying the soccer player pictured wears this line of cleats. Where’s the shoe?” Rye’s post read. Rye’s qualm was that, although the advert featured the name, it did not feature the boots themselves. However, an extended video which forms part of the ad campaign clearly shows the 24-year-old Pogba sporting all three types of the Predator boot range. Unsurprisingly, not all shared Rye’s view that the advert was racist, with the overwhelming majority calling Rye out for faux-outrage. “You’re reaching and looking for anything to be annoyed at while you should be celebrating Adidas supporting a black athlete enough to bring back a legendary line,” was one reply to her Instagram post. Rye was met with a similar response on Twitter. Many were confused as to how the 38-year-old linked the advert even tenuously to racism. The predator collection is a prestige collection from Adidas. I find it hard to believe that, with that context, you can call Adidas racist. Unbelievably weak gripe and only serves to undermine credible claims of insensitivity. “You guys cannot seriously be calling adidas racist cause of that predator thing,” was one reply. “The predator collection is a prestige collection from Adidas. I find it hard to believe that, with that context, you can call Adidas racist. Unbelievably weak gripe and only serves to undermine credible claims of insensitivity,” came another.